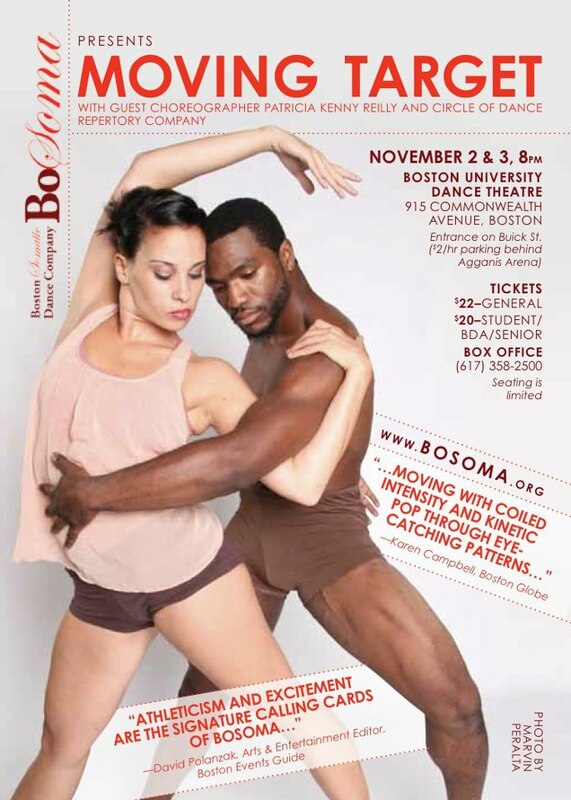 BoSoma Dance Company will be presenting their fall show MOVING TARGET with guest company Patricia Kenny Dance Collection of New York under the direction of Patricia Kenny Reilly, formerly David Parsons. This show will feature new work by Artistic Directors Katherine Hooper and Irada Djelassi. MOVING TARGET premiers November 2-3, 2012 at the Boston University Dance Theater. Click (here) for the BoSoma website. 1 Response to "Moving Target - Starts 11/2"
Looking forward to seeing these two company's on stage together.